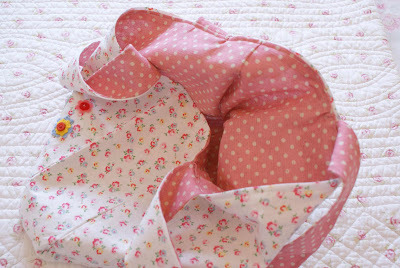 MessyJesse - a quilt blog by Jessie Fincham: Here it is! It's a Tote Bag!!! Here it is! It's a Tote Bag!!! Hello! 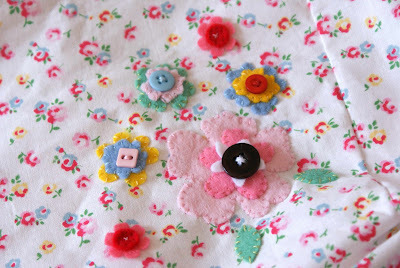 I'm sharing with you the pictures of what I was making the other day that I kept secret until now! it was a tote bag... did you get it!? It took me all day lol but I think I'm getting a bit quicker with my sewing these days. 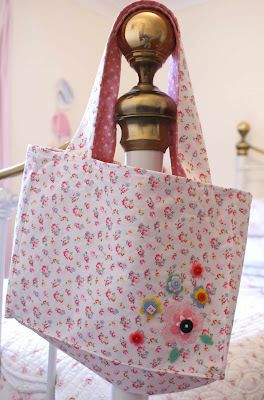 I used some Cath Kidston fabric for the outside and a Japanese linen/cotton mix for the inside (that I got from here). Muito linda!!!! sua bolsinha!!! parabéns!!! What a great tote! I bet you could stuff it with all sorts of things and it will still hold up. My favorite, though, are the felt flowers. So cute! 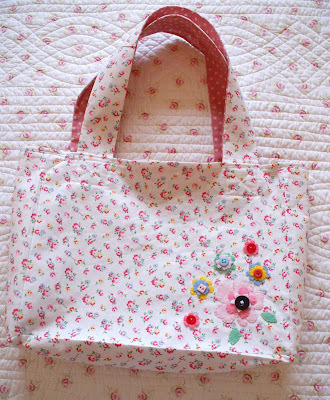 That is a really lovely bag - just the sort of thing I love! 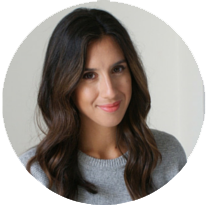 Glad to have discovered your lovely blog!